Now that the Audi RS4 has been on the market for a few years, aftermarket goodies are beginning to trickle into the market. And while nobody can say that the RS4 has a sedate exhaust note, that glorious V8 deserves a bigger megaphone through which to broadcast its melodious voice. To test this idea, Automobile Magazine decided to give their long term RS4 the aftermarket exhaust treatment. 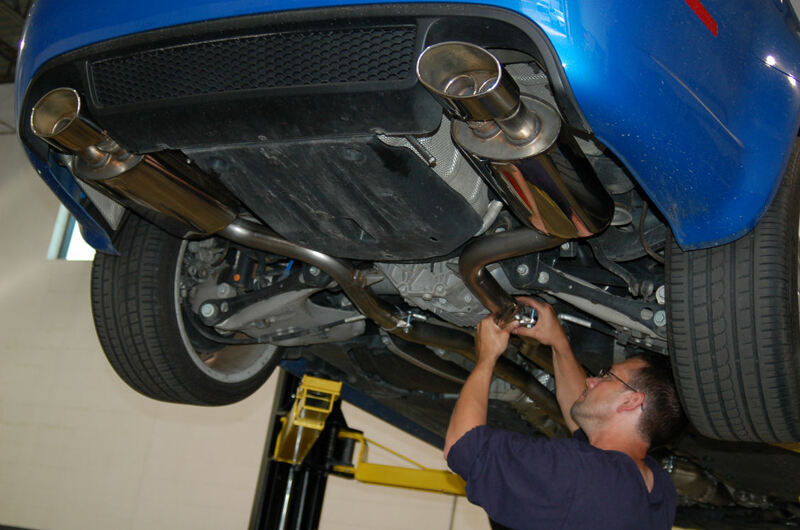 Stratmosphere offered up a high flow cat-back system from British exhaust manufacturer, Milltek Sport, and your friends here at VRPerformance did the install. Here you can see the OEM unit on the left and the Milltek kit on the right. Note the absence of the resonator on the Milltek exhuast as well as the smaller mufflers. It's important always to hang the entire kit loosely before aligning and tightening the flanges and hangers. Few engine configurations sound better than a V8. The upgraded exhaust note on the Milltek equiped RS4 is a definite improvement over the stock system. The dB level is not much higher, but the quality of the the sound is better with a deeper growl on load at low speeds changing to a pleasant wail at higher rpms-- befitting the sport luxury leanings of the RS4. 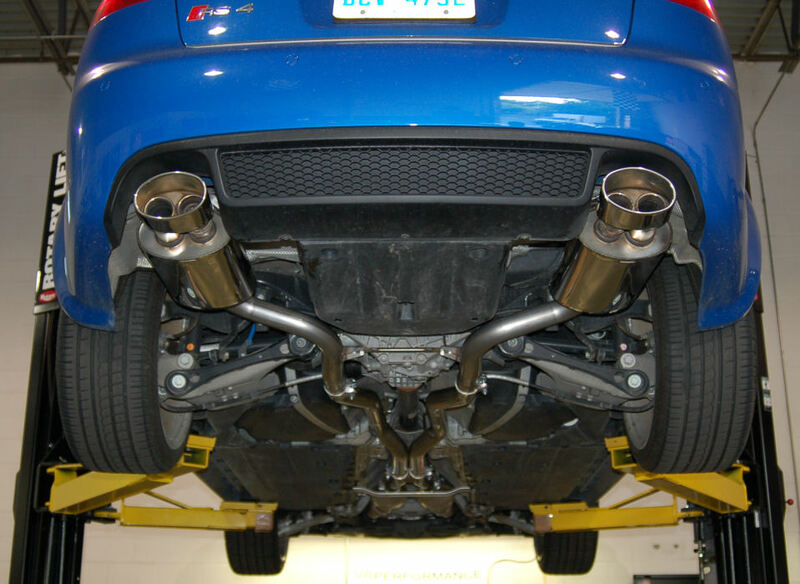 Check http://automobilemag.com for sound clips of the stock vs. Milltek exhaust systems.